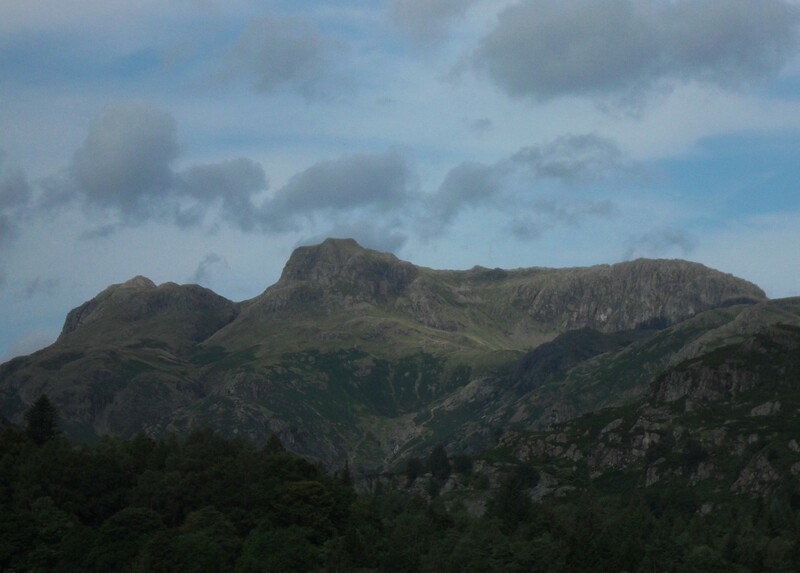 You have to grab the better days of this summer and so we found ourselves driving into Langdale. That famous view of the Pikes brings back so many memories of Lakeland days, early days camping and walking in the area and many days on the crags of the valley. 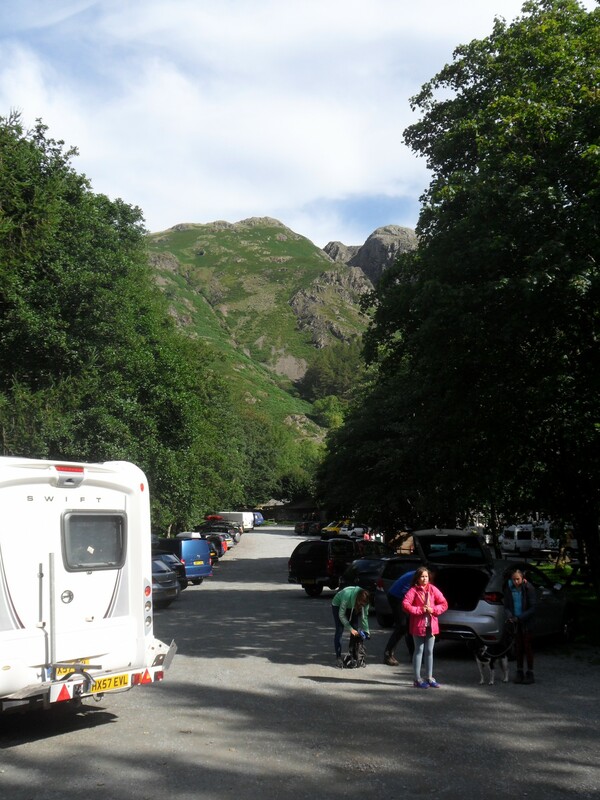 The car parks have become busier over the years as our population has increased mobility, we used the NT one at New Dungeon Ghyll and enjoyed the field paths to the Old. The scree path up to Raven Crag hasn’t lost it’s steepness but stabilisation work has improved the line of the path.The whole slope below the crag is on the move. Middle Fell Buttress was busy as usual but otherwise the crag was quiet for such a lovely day.There were a scattering of climbers around the base and a couple high on Centipede, visible in the right amphitheatre. The debate on the survival of traditional climbing on mountain cliffs goes on with the new emphasis on indoor climbing walls and bouldering in our sport. Out of perverseness we chose Evening Wall as our morning climb. Rod first climbed this in 1968. Our memories of this route, which I have climbed numerous times, were vague and I was not sure of my route finding on the second pitch. Eventually worked out a leftwards traverse at about the right grade, severe. 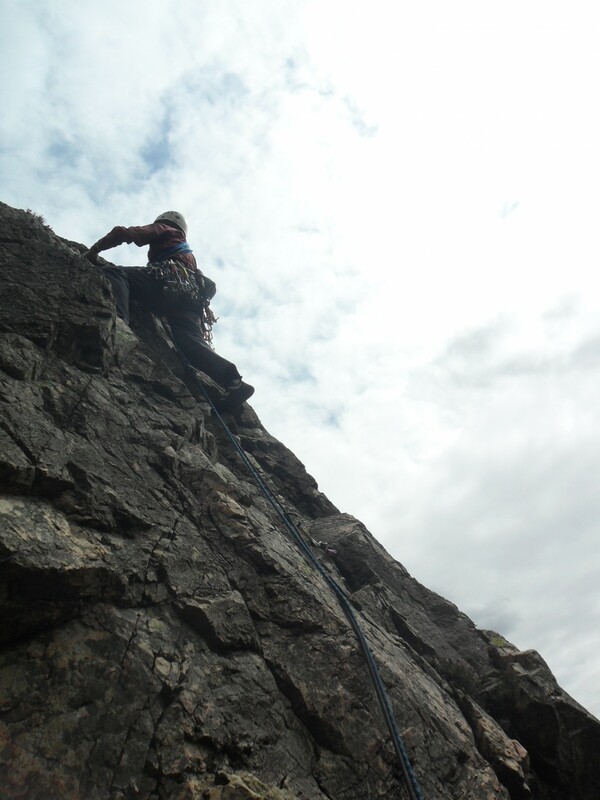 There was no doubt where the start of the third pitch went – an airy unprotected step right to gain the arete – I was glad it was Rod’s lead. Great rock all the way to the top. 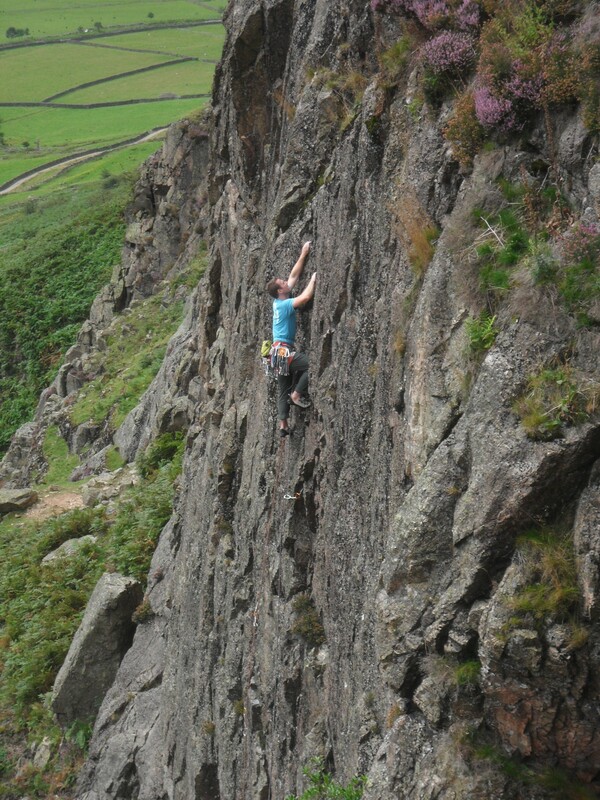 Rod past the crux on Evening Wall. Whilst I was belaying/daydreaming I had a good view of a climber running it out on Mendes on the lower Middle Fell Buttress. The descent route above Raven has one awkward rock step down and it seemed very awkward today. There is the story of a well known lady climber slipping here only to land in the tree below. If you know the spot you will realise how lucky she was to survive. Don’t know why I didn’t take a photo of this airy spot. Anyway safely down we next choose a fairly recent addition to the crag – Elevation – finding a way up the left side of the Revelation buttress. 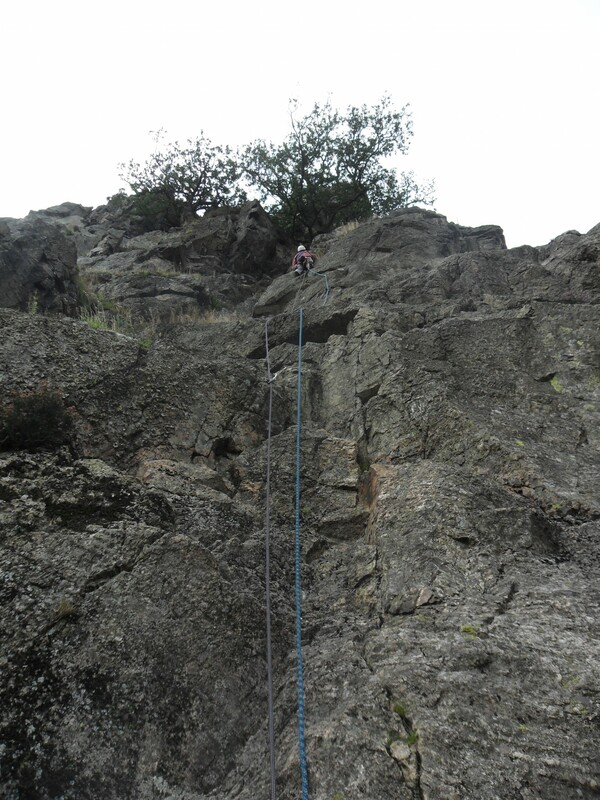 This sustained one pitch route covers some rough rock and I thoroughly enjoyed the trip. Highly recommended if you have done everything else. 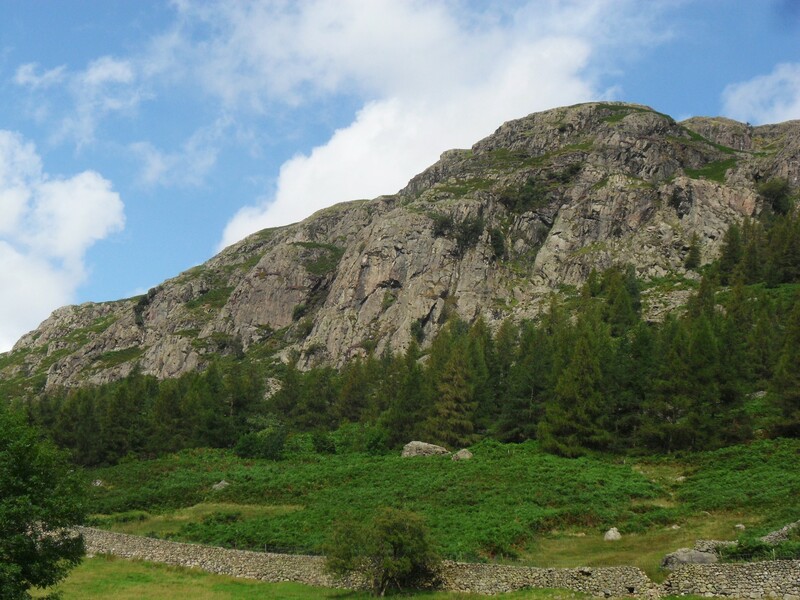 A classic Lakeland’s day climbing – I’ll shall return. 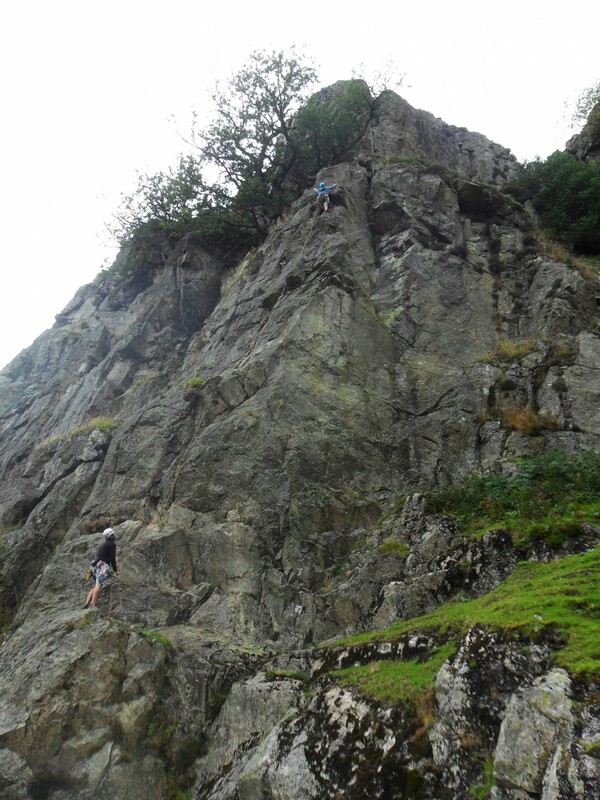 This entry was posted in Climbing, Lake District and tagged Climbing, Lake District. on August 26, 2015 by bowlandclimber. Good pics. of Raven. Happy memories. Elevation should have been named “Parallels” with that ropework. Yes we could have managed with a single rope.